Susanna Bitler's life is in complete turmoil. Still reeling from the death of her mother, she is further disheartened when her business partner hints that she is going to quit the gift shop they run together in a town near Pleasant Valley. But the biggest revelation is yet to come. 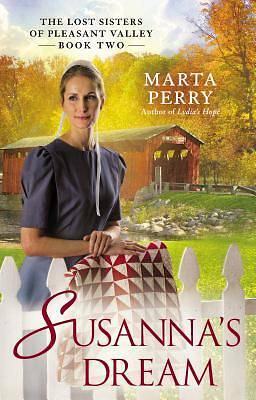 Grateful for their own hard-won relationship, Lydia Beachy and Chloe Wentworth are eager to reveal themselves to Susanna as her long-lost sisters. But their news utterly distresses Susanna, who is heartbroken to learn that the woman she's been mourning was not actually her mother. Despite Lydia and Chloe's best efforts to make amends, Susanna resolves to keep them at arm's length. It may take a force of nature to sweep away her fears. Will that storm demolish all that the three women most value...or unite them in bonds of deep and abiding affection?